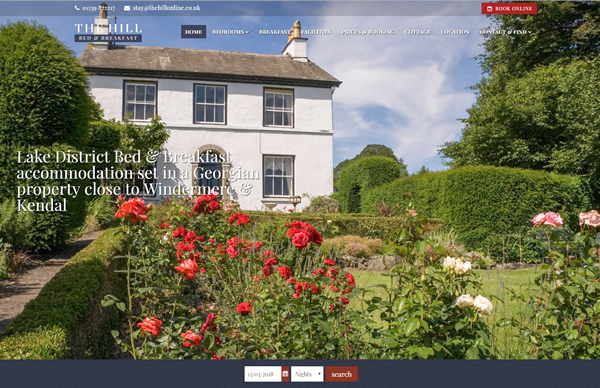 We've had the pleasure to design content managed websites for some fantastic busineses here in Cumbria and below you will find some examples of our past web design work. 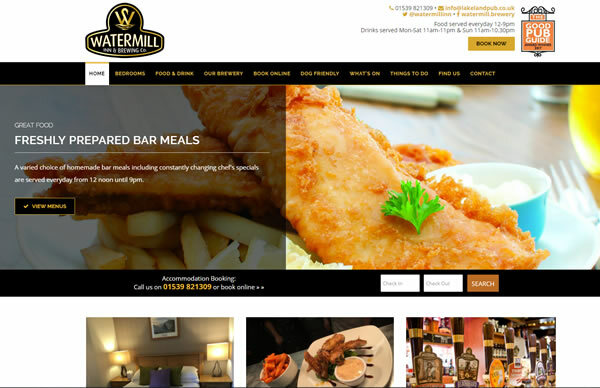 If you are thinking about having your website redesigned then please contact us for a FREE no obligation quote. 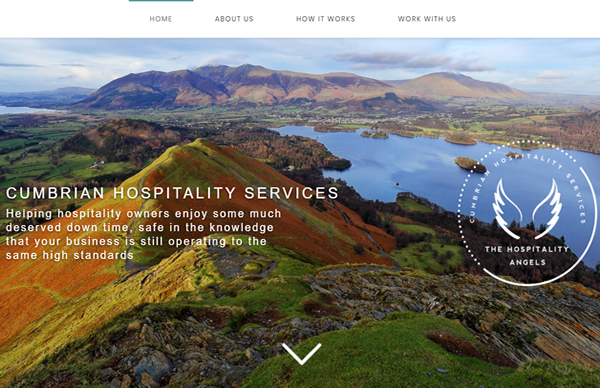 If you already have a great website but feel that you would like some help with its promotion then you might like to take a look at our tourism SEO & social media support services section and also our tourism blogs & portal sites section. We purchased our own fully managed dedicated server during 2017 in order to be able to offer our clients a premium hosting experience. The server is located in Manchester and provides greatly improved page load, security and reliability which are all rankings factors on Google. We can provide you with an SSL certificate in order to secure and protect your website. Having a secure SSL website is also a ranking factor on Google. Customers and visitors to your site will know that their browsing session is safe, and that payment details and personal information is kept secure and encrypted. SSL certifcates are annually renewable. 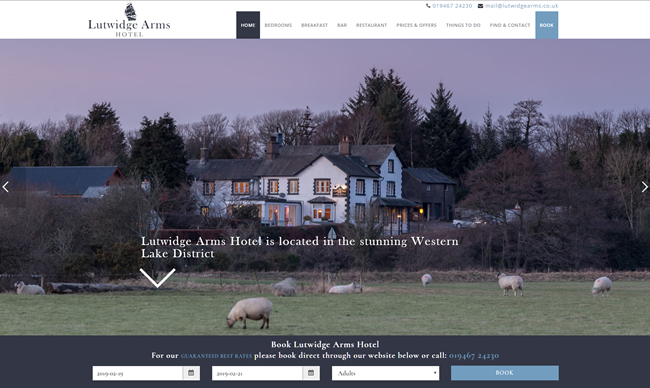 A family owned and run Lake District Hotel in Holmrook. 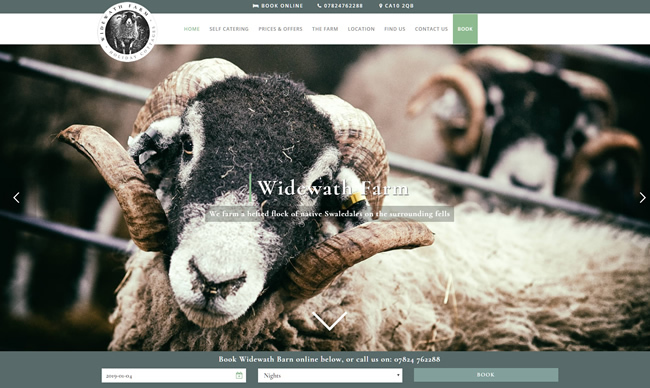 Website & Photography completed in Feb 2019. 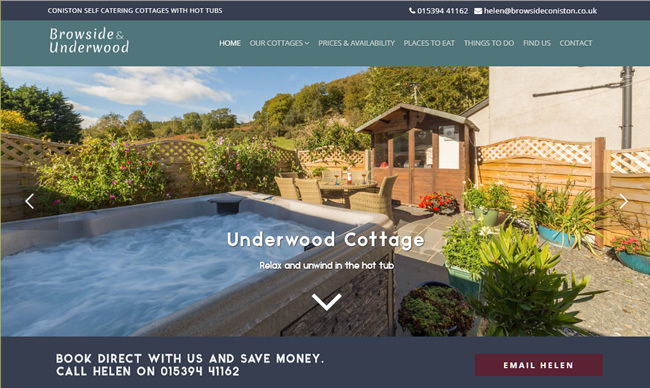 Website redesign and photography completed in October 2018 for Browside & Underwood Cottage in Coniston, who are a very long standing client. 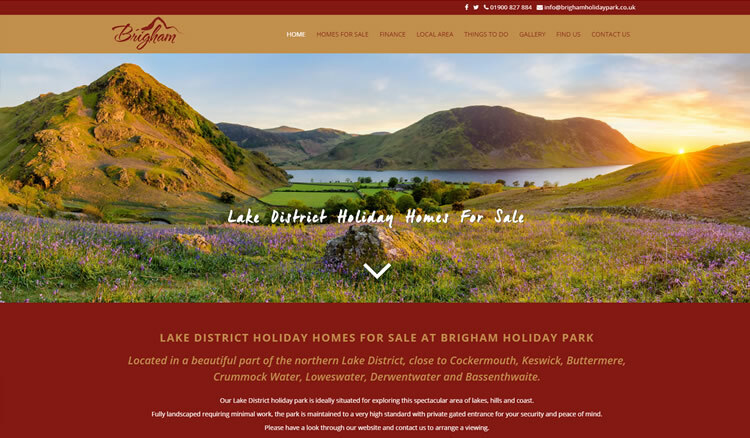 Brigham Holiday Park near Cockermouth offers holiday homes for sale in the Lake District. 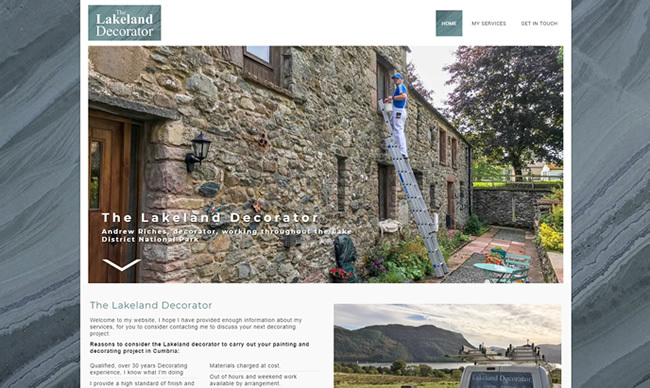 Andrew Riches provides commercial and domestic decorating services throughout the Lake District. 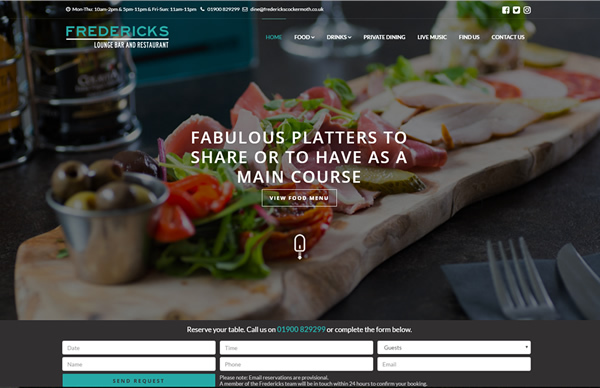 Redesign of a long standing client's website completed in October 2018. 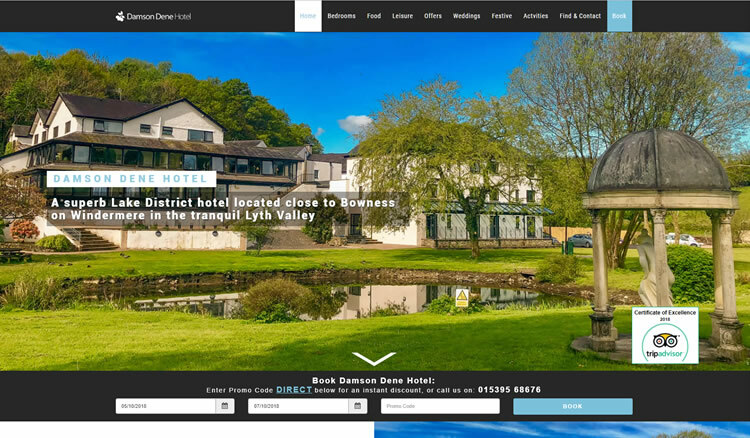 Damson Dene is a 58 bedroom hotel located in Crosthwaite near to Bowness-on-Windermere. Mini redesign completed in Sep 2018. 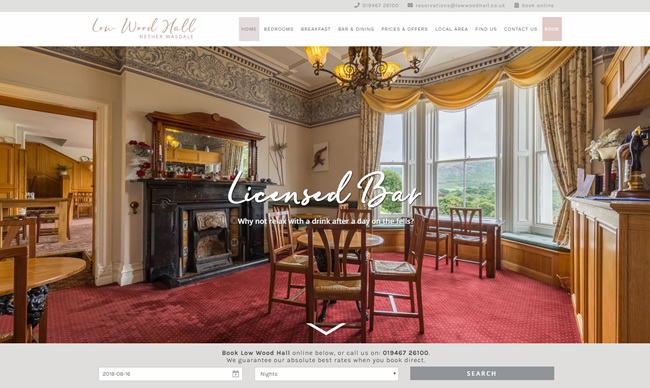 Low Wood Hall offers licensed guest accommodation in Wasdale. 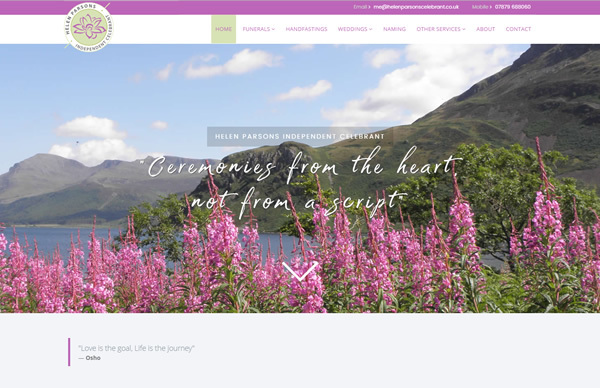 Photography and website design completed in August 2018. 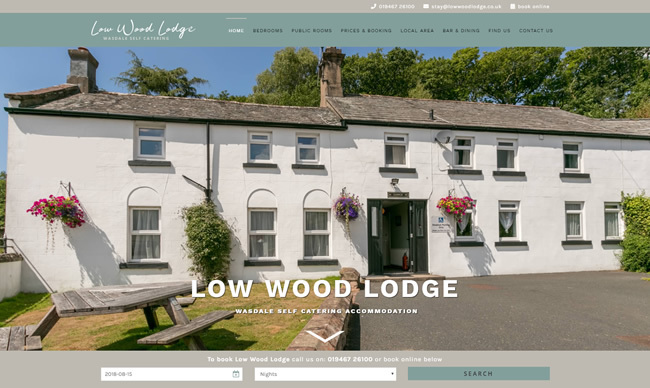 Large 6 bedroom self catering property available in Wasdale. Photography and new website completed August 2018. 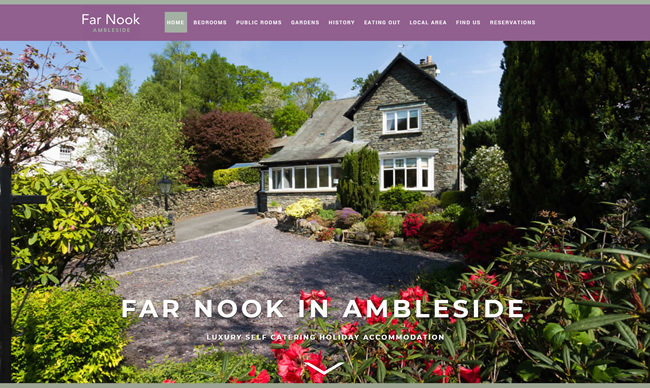 Far Nook offers luxury self catering accommodation in Ambleside. 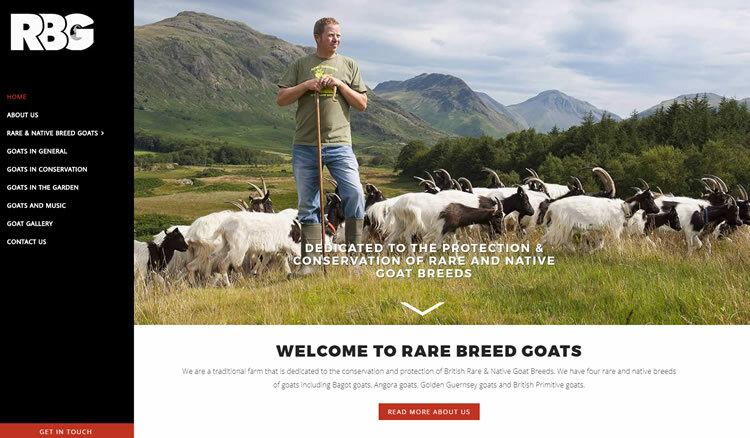 We redesigned the website during May 2018. 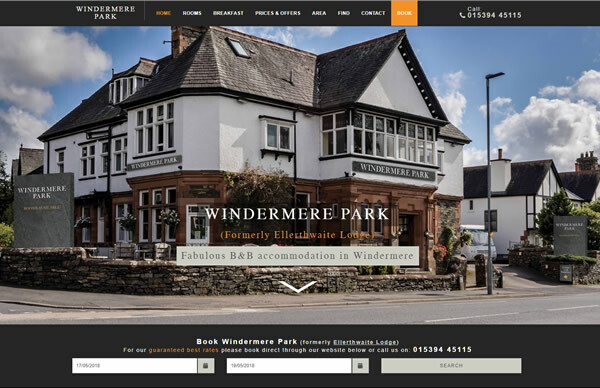 Windermere Park (formerly Ellerthwaite Lodge) is part of South Lakes Hotels. Website & Photography completed May 2018. 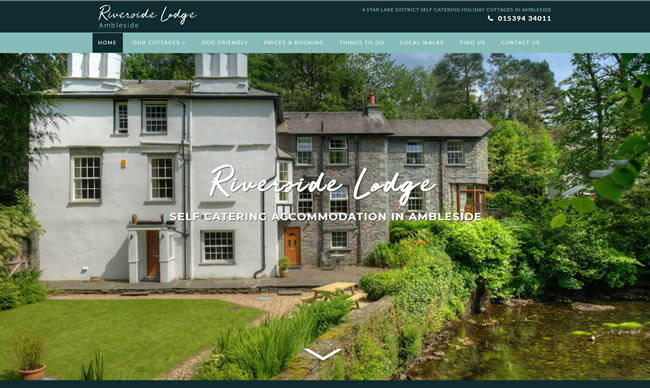 A choice of three 4 Star self-catering properties in Ambleside. 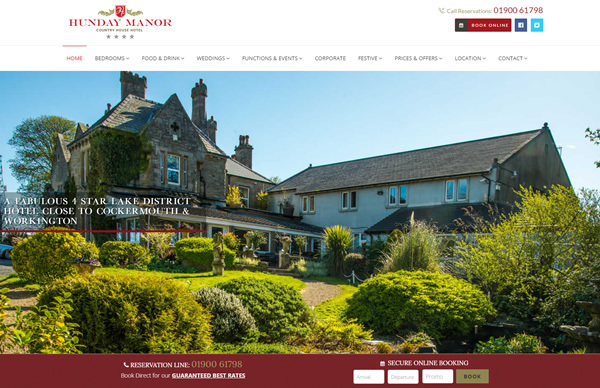 Site redesign in May 2018. 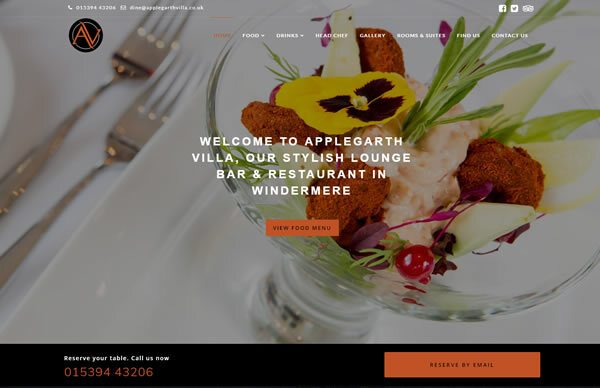 By some distance Applegarth Villa is our longest standing client. 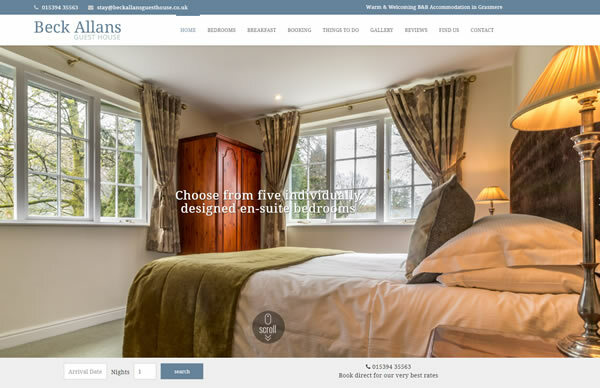 We have just finished giving their site a freshen up in Feb 2018. We have also photographed a few of their new rooms and suites. 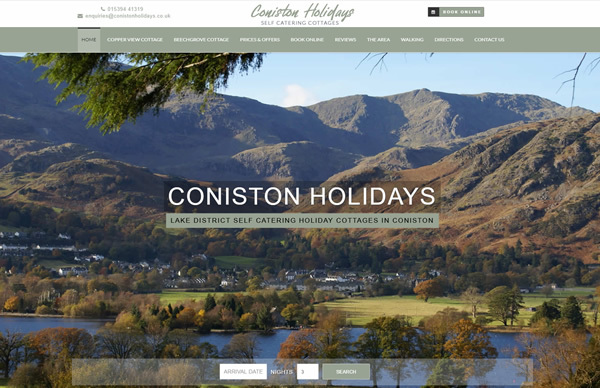 Coniston Holidays offer two self catering properties in Coniston. 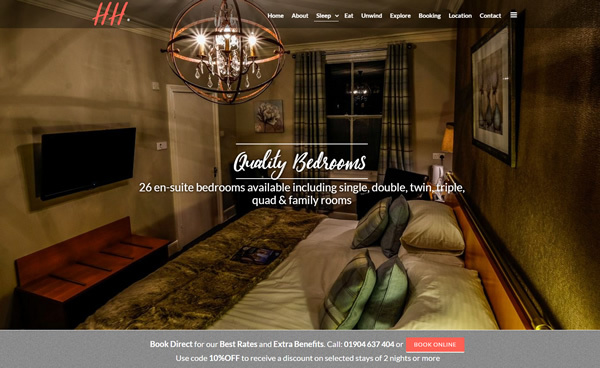 We redesigned their website in Feb 2018. 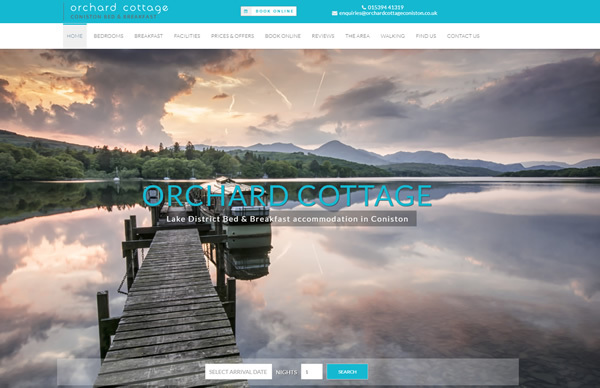 Orchard Cottage are long-standing clients and we were delighted to have been invited to redesign their website. 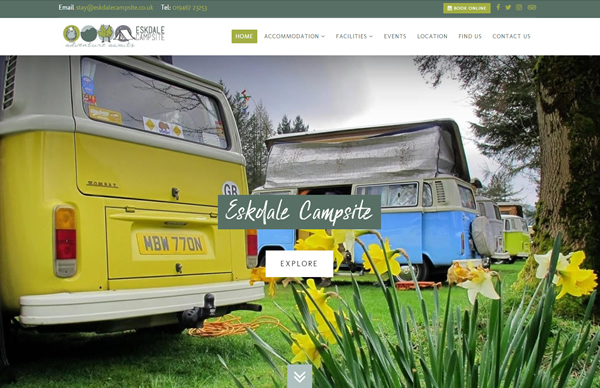 Eskdale Campsite offers camping ptiches across 8 acres, plus camping pods and a camping barn. 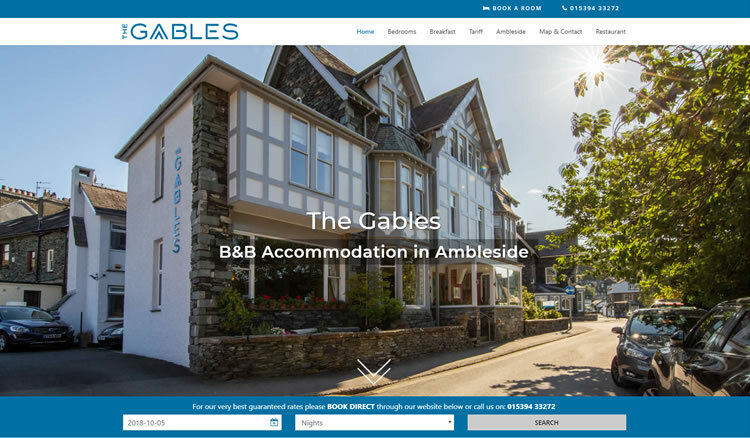 The Gables provides quality B&B accommodation in Ambleside. We gave the website a mini freshen up during July 2018. 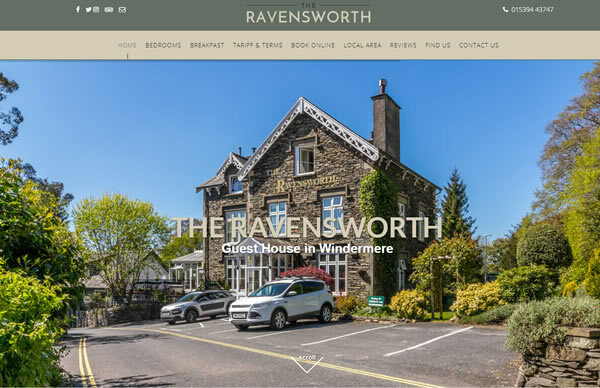 Guest House in Windermere offering a choice of 11 en-suite bedrooms. 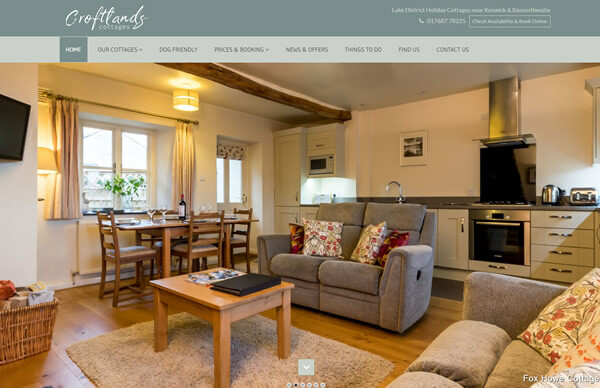 A choice of two luxury self catering cottages near Keswick. Arguably the best restaurant in Windermere. 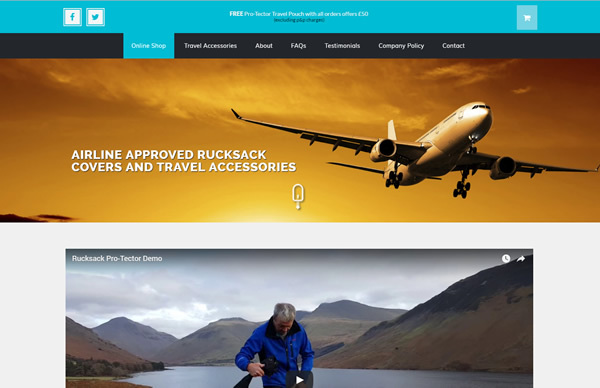 Pro-Tector manufacture and sell a range of rucksack security covers and travel accessories. 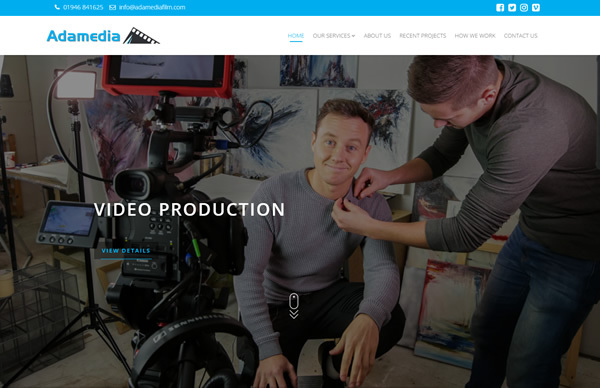 Services include video production and aerial filming and photography. 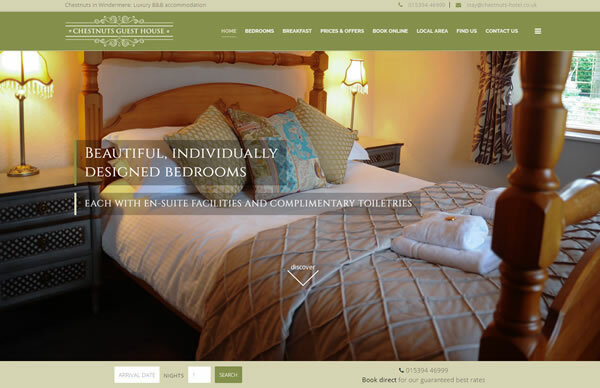 Chestnuts offers B&B accommodation in Windermere with a choice of 7 en-suite bedrooms. 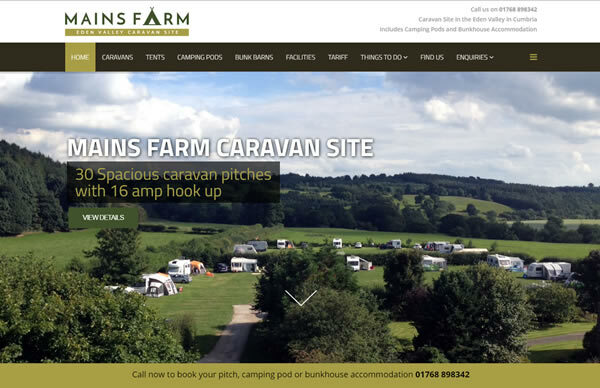 A fabulous Eden Valley Caravan Site with camping pods and bunk accommodation Site completed November 2016. 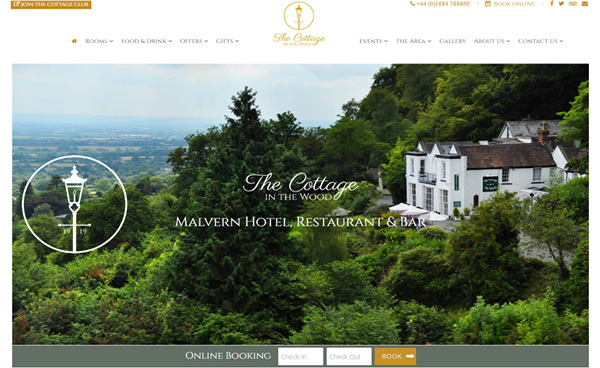 A glorious 30 bedroom hotel with a two AA rosette restaurant offering panoramic views across the Cotswolds, Vale of Evesham and Severn Valley. 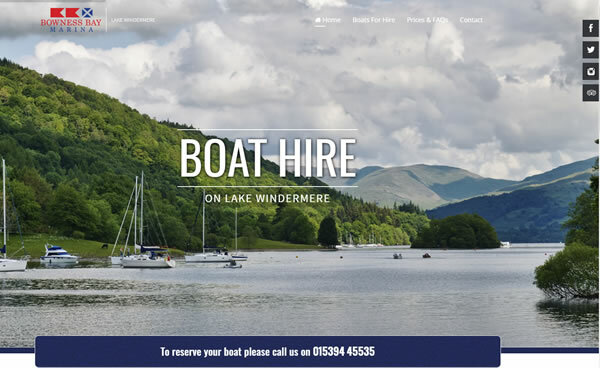 Bowness Bay Marina is lake Windermere's premier self drive boat hire company. 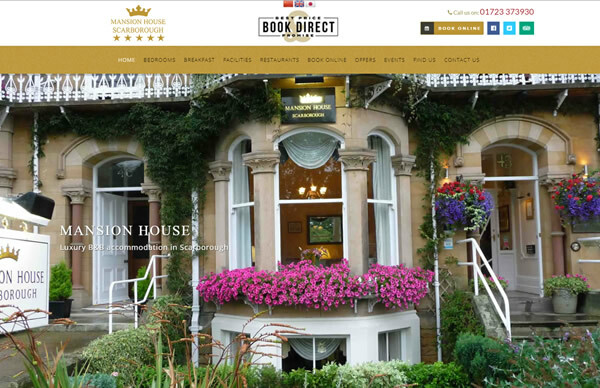 Hedley House in York is a family-owned hotel with outdoor spa and 7 self catering holiday apartments. 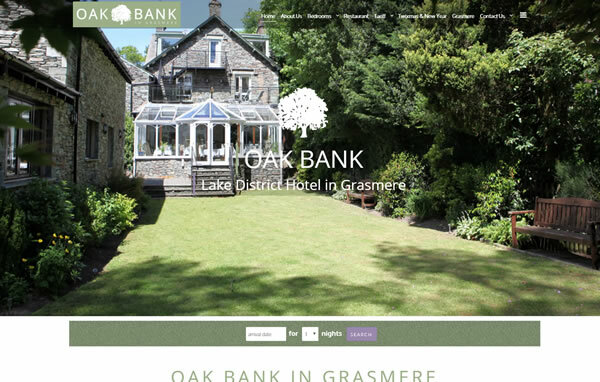 Oak Bank Hotel in Grasmere offers a choice of 13 bedrooms, plus it has been awarded 2 AA Rosettes for dining. 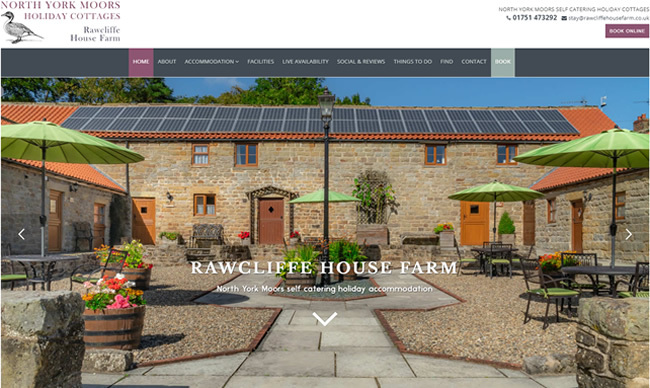 New site completed April 2016. 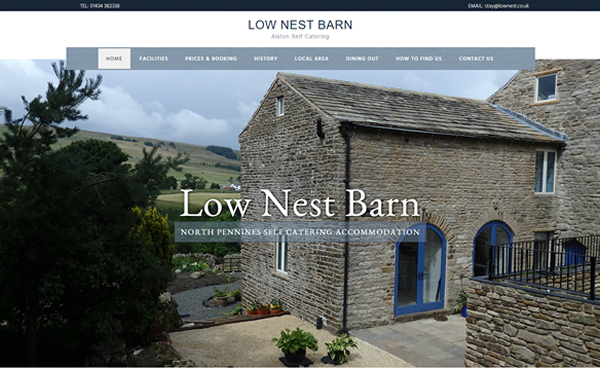 Low Nest Barn offers self catering accommodation close to Alston in the North Pennines. 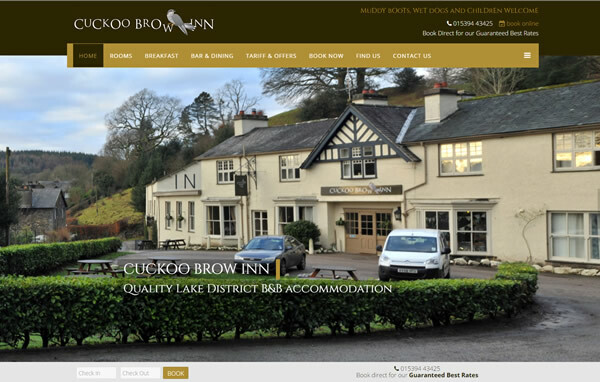 Cuckoo Brow Inn offers quality B&B accommodation, great food and real ales in Far Sawrey. 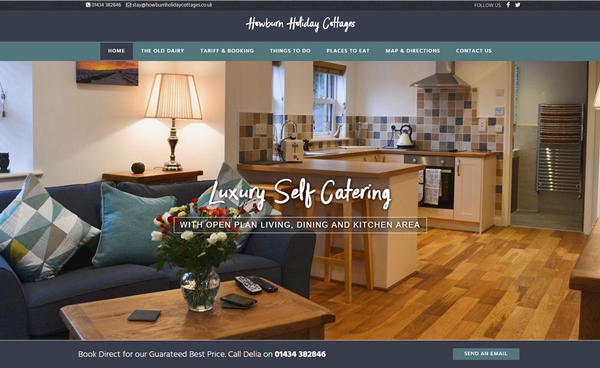 Howburn Holiday Cottages includes The Old Dairy holiday cottage located in Leadgate near Garrigill. 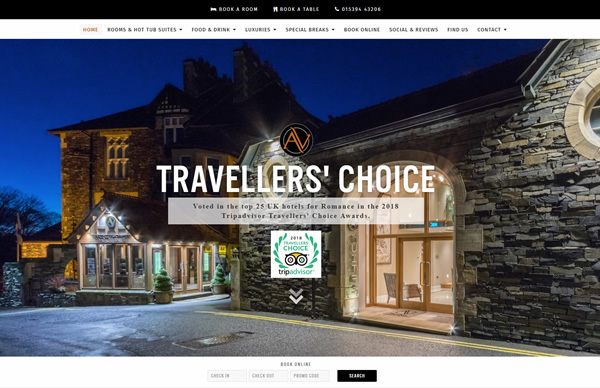 © 2019 Cumbria Web Design by Web Predators Ltd. All Rights Reserved.